Shelby GT500 1968 taking part in a slalom. I try to create images that will resonate with others. 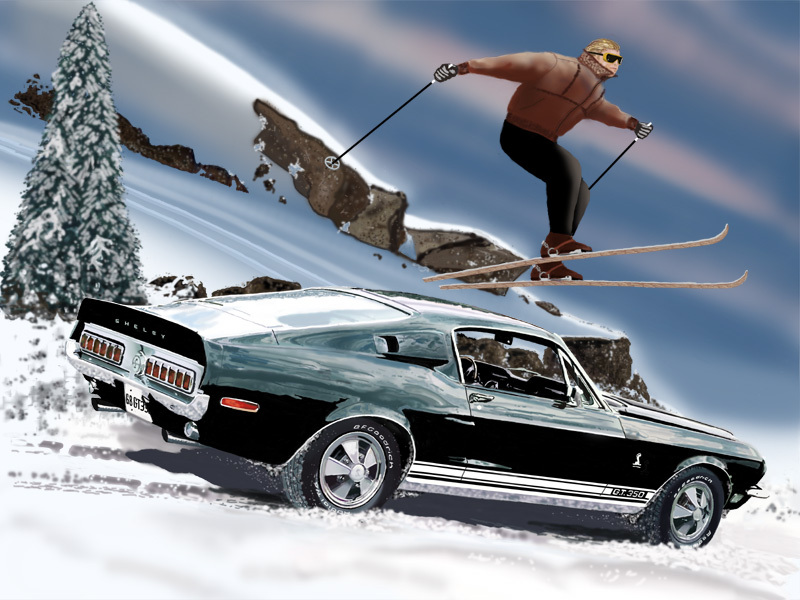 I have driven quite a bit on snow and ice and decided to do an art piece for a Canadian friend that has his car racing a skier down a slope. Snow and ice are not for everyone but hopefully most will see a bit of humor that evokes imagery from a Bond movie.